We are pleased to present the report and images of the 4th edition of the AfricanBamba Human Rights FIlm Festival (3-7 March 2016) in Thiaroye, Senegal. The Festival presented a combined program me of film screenings, debates, performances and music, with the participation of local associations, international NGOs, schools and guests. The events were mostly hosted at the Centre Culturel Jacques Chirac in Thiaroye (from 3rd to 5th March), with the exception of a special event to mark International Women Day hosted in the Residency of the Embassy of the Netherlands in Dakar (on 7th March). 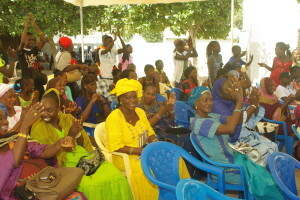 AfricanBamba Human Rights Film Festival in Thiaroye, Senegal is planning its 4° edition with 2 appointments: one special event in Dakar on the 10 December 2015, marking the International Human Rights Day, followed by a 4 days event in Thiaroye from 3 to 6 March 2016 at the Centre Culturel Jacques Chirac and other venues in Thiaroye, as Cinema du Quartier. The Festival will host film screenings, debates to raise awareness on human rights issues, free health checks and prevention programmes, as well as performances, sport events and music. 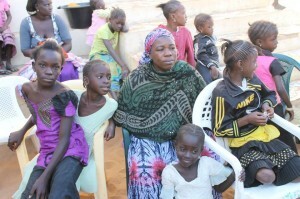 The main focus of AfricanBamba is on women and children human rights issues. 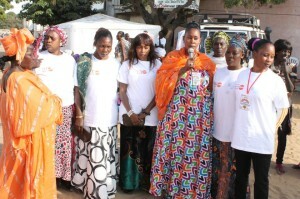 Throughout the years, AfricanBamba festival has been organised and promoted by AfricanBamba in partnership with international and local partners, among which Movies that Matter, the Royal Embassy of the Netherlands in Dakar, ActionAid International, Human Rights Nights, Marie Stopes International and La Comune de Djiddah Thiaroye Kao. 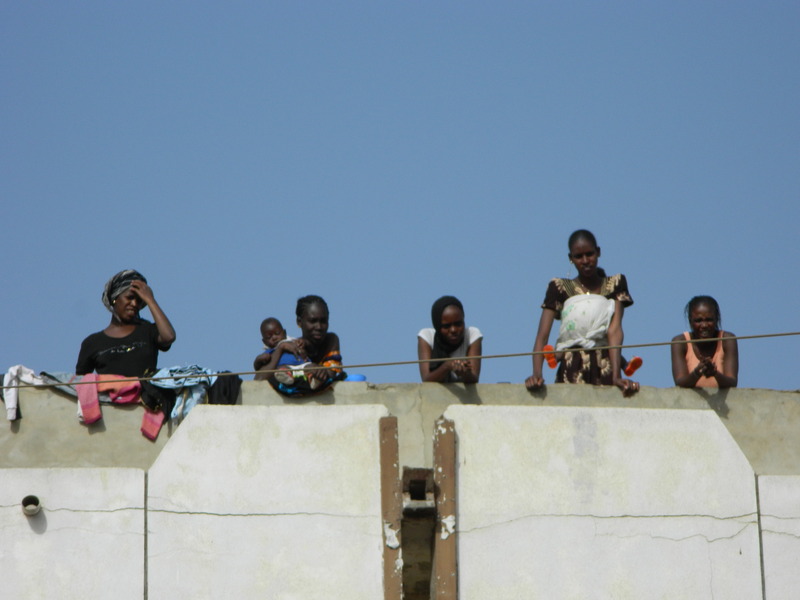 Since 2014 AfricanBamba Human Rights Film Festival has become member of the Human Rights Film Network – an international network of more than 40 festivals across the world dedicated to human rights (www.humanrightsfilmnetwork.org). We are now in the process of renewing partnership for 2015 and 2016. 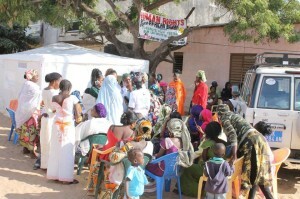 AfricanBamba Human Rights Film and Arts Festival – first human rights film festival in Senegal – showcases human rights films and documentaries to raise awareness and inspire change. AfricanBamba Human Rights Film Festival uses the power of cinema and the arts as a tool to address urgent social issues: primary goal is to engage youth and the community towards positive social change and empowerment by raising awareness on human rights. 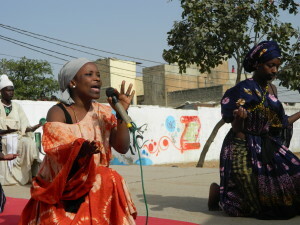 AfricanBamba has successfully inaugurated its 1° edition in 2012 with a programme of film screening, music concerts, arts exhibitions, building up a very significant community event in Senegal to debate and raise awareness on social contemporary issues affecting young people, with a special focus on Migration. In 2013 the Festival has continued with a 2° edition focused on Youth and Women, introducing also community screenings in the streets of the banlieue and free health checks and vaccinations for women and children. 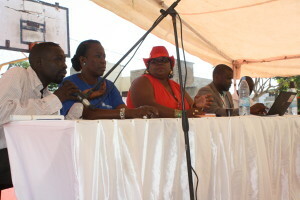 AfricanBamba Human Rights Film and Arts Festival 3° edition in 2014 focused on Boolo – Community and Non Violence, with a strong programme of film and debates, music and theatre performance, sports for peace, and continuing free health checks, vaccinations and family planning for women and children. This new 4°edition will focus on: Conflicts in Africa and the Middle East and the current international humanitarian refugee crisis; Health in the banlieue‐ to continue our committment on women health, family planning and HIV/AIDS prevention and for spreading awareness and knoweldge on the urgent issue of Ebola, as well as on the emergence of Diabetes; Food & Earth – focusing on human rights issues around the right to food (food sovereignty, economic disparities in the world, sustainable agriculture), earth (climate change, land grabbing, rights to land) and water (privatisation of water sources, water economy and conflicts), as inspired by the manifesto that has been drafted from the African Social Forum in October 2014; Alcohol abuse and dependency, in particular with regards to this very powerful and lethal alcoholic drink called Diakarta that is destroying young people, also here in the neighbourhood. The potential of youth in the world, and particularly of African youth in countries such as Senegal, is enourmous and unfortunately yet not at all exploited: energy, dreams and hopes are crashed under pressing poverty, lack of employment and huge unequalities in the world economic system. Gender is a main factor for development and opportunity in Senegal, and young women are unfortunately very often in severe conditions which do not allow them to emancipate and fulfill their potential. AfricanBamba itself aims to become a project where such energy could be channelled to allow for youth and women’s empowerment in the community. 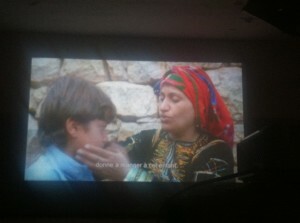 Core programme of the festival are the screening of films focused on human rights. Trying to engage participation from the community, AfricanBamba uses films as a medium to start discussion on themes that require urgent attention in the banlieue – from youth unemployment to migration, from early marriage to women’s emancipation, from street children to right to health, education and non violence. 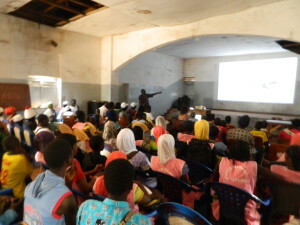 Youth resistance and women’s empowerment are portrayed through films, to celebrate and learn from the efforts that youth and women are making in other parts of the world and in Africa, facing similar difficulties and challenges, hopefully provocking inspiration towards positive social change also at local level. AfricanBamba Human Rights Film Festival – first festival in Senegal dedicated to human rights films – is becoming a very important Lopportunity for community building and for creating alliances and networks at local and global level which facilitate also throughout the year projects towards development, empowerment, education and for the voicing of the concerns of the community, whilst offering an opportunity to debate issues – such as for instance, migration, street children exploitation, flooding, youth unemployment, gender inequality or violence. These and others key urgent themes are addressed during the festival through different artistic modalities, for then been discussed formally and informally throughout the day. The festival is one key opportunity for us to communicate to our governors, to our people and to the world what are our dreams, our worries, how we would see a social just and peaceful world. The Festival provides us in fact with one the very few opportunities for the youth and the women of the banlieue to be exposed to socially engaged cinema – feature films and documentaries from around the world – and is an important chance for the community to be actively involved in a participatory programme of direct engagement on human rights, where films can act as tools for advocacy and voicing concerns of the community. The festival would ideally become – year after year – a permanent space where socially oriented communication, voicing of concerns, sharing of experiences and information / awareness would be happening at the local level, whilst globally connected. The festival have a significant impact on the community of Thiaroye. For the youth and the women of Thiaroye the location of the festival in the banlieue rather than in Dakar or Goree means recognition in itself and increases the identity of the festival as a participative project rooted in the community. In Thiaroye, where is very rare the presence of NGOs or international organisations, the festival is in fact viewed as a new way for the community to engage, be recognised and express themselves on their urgent social issues. 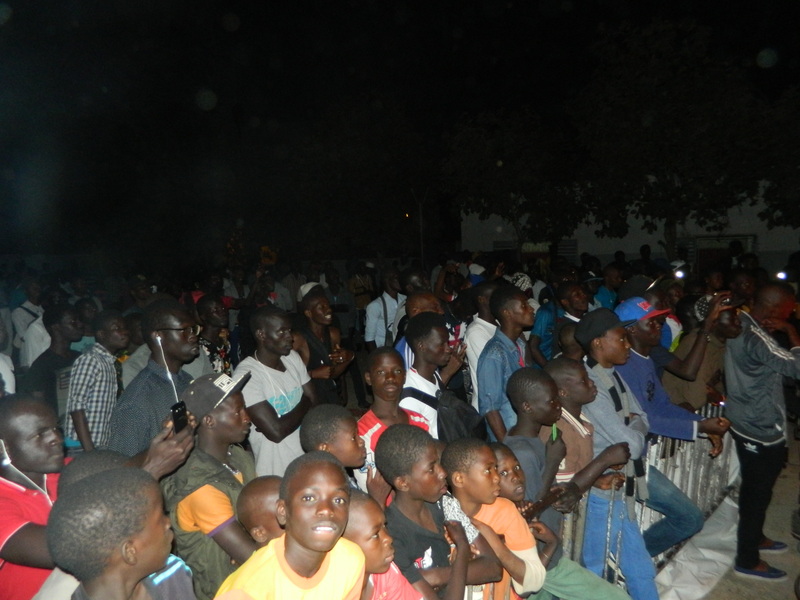 Central venue of the festival is the Centre Culturel Jacques Chirac, which is centrally located in Thiaroye and is renowned by the community, as it is an important centre for youth engagement against drugs and abuse through sports. The venue is set up with an open air screening space, a conference room, an outdoor performance stage and free health checks venues. The venue can host up to 400-500 people. The cinema screenings will happen in a dedicated area that holds from 200 to 300 people. AfricanBamba Festival organises screening also in the banlieue neighbourhood in the main squares of Thiaroye as Cinema du Quartier. Finally we organise events in collaborations with international NGOs, Embassies and Cultural Centres in the city of Dakar to further spread our message connected at international level. 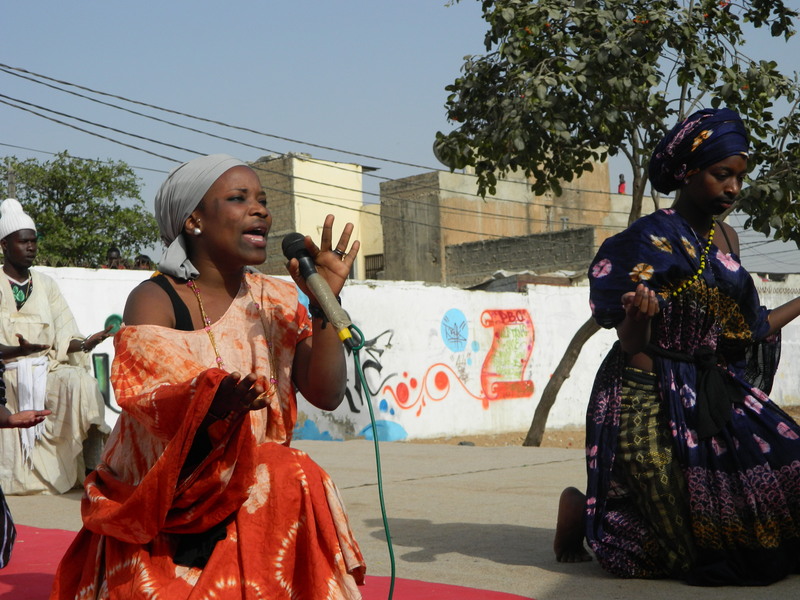 AfricanBamba Human Rights Film and Arts Festival – first human rights film festival in Senegal – showcases human rights and social issues documentaries to raise awareness and inspire change. AfricanBamba uses films as a medium to engage participation from the community, to start discussion on themes that require urgent attention in the banlieue. 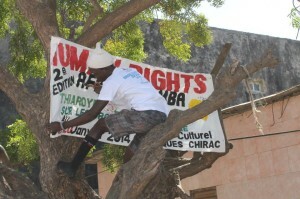 AfricanBamba Thiaroye Human Rights Film and Arts Festival has now successfully completed its third edition, with 5 core festival days at the Centre Culturelle Jacques Chirac – from 12th to 16th November 2014. 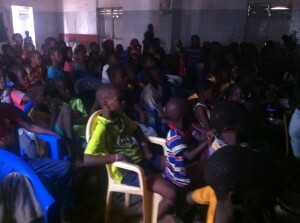 Further screenings are continuing throughout the following weeks in schools and in specific streets and squares of Thiaroye, such as the neighbourhood of Moussa Sy Terrain or Malika, up to the 10th December, International Day of Human Rights. AfricanBamba Human Rights Film Festival sur le Droit de l’Homme has been created and organised by AfricanBamba, in partnership with Human Rights Nights, with the support of Movies that Matters, ActionAid International and the Royal Embassy of the Netherlands, in collaboration with Marie Stopes International, and the associations Andando Soxoli Sunu Gox ensemble pour le development de notre quartier pour la sensibilisation des jeunes filles du quartier, Yoff Women Association, Daara Dunya, Daara de Talibè, Simb Group Serigne Fallou, Ecole de Mbao, PBC – Pikine Basket Club, Group Sope Serigne Fallou, Hip Hop de la Banlieue, Marine Family, Seven Shots and the Centre Culturelle Jacques Chirac. A combined programme of film screenings, debates to raise awareness on human rights issues, free health consultations and HIV/AIDS prevention programmes, as well as music, performances and sport events – have confirmed this year the importance of the festival as a significant and special opportunity for the people of Thiaroye and beyond, to come together to debate and raise awareness on social contemporary issues affecting the community and in particular women and children. The festival is an important occasion to discuss the matters that are at people’s heart, exchange feelings and experiences, get knowledge and information around human rights issues, engage actively in the festival and feeling empowered through their active participation. The community gets together with local associations and international NGOs, to address some specific issues, aided by the means of films and performances. This year the festival has seen a renewed strong participation of women and youth of the banlieue. 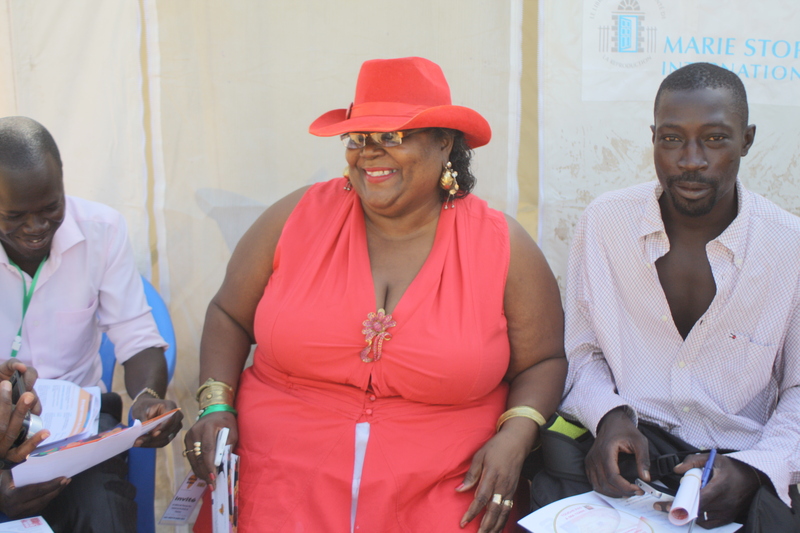 The elderlies of Thiaroye as well as the representatives of local authorities have made their presence to the festival to recognise the importance of such an event for the community. All festival events were free and open to the public. The guests and staff were also invited to share meals and were offered throughout the whole day water and juices. 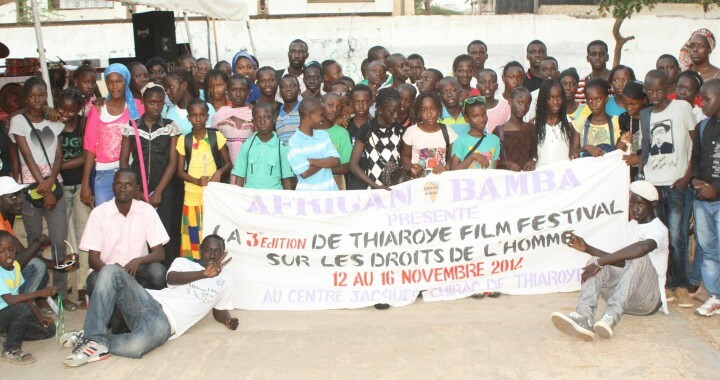 AfricanBamba Thiaroye Film Festival 3° edition has focused on education and non violence. 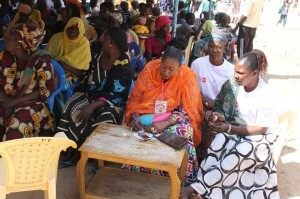 Within the framework of BOLLO = community, ‘united make strong’, AfricanBamba has gathered women men and young people of Thiaroye and surroundings to talk of education and non-violence, creating spaces for dialogue and communication. In the banlieue, young people face many difficulties and obstacles: the rate of unemployment is huge and many have drop out of school after only a few years of education. Education tends to privatisation and increases inequalities. 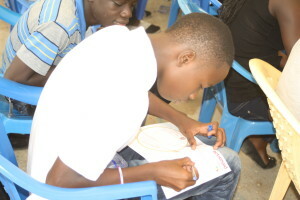 Street children are at risk for criminality and deviance. 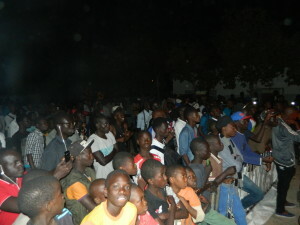 Within this challenging context, AfricanBamba, through its festival activities in the streets and neighbourhood of the banlieue, has engaged this year the people of Thiaroye to increase awareness on education and to debate how the community can empower itself towards social change and non violence. Education has been addressed during a lively debate participated by school students, where education and human rights issues were debated, with the participation of the students, the teachers and the Director of the Ecole de Mbao, representatives of AfricanBamba, Human Rights Nights and the Royal Embassy of the Netherlands. Throughout the festival, AfricanBamba has raised the question of the right to education, encouraging families to pursue education for its children and authorities to act for removing inequalities and improving qualities of education, regardless of class. With extremely high unemployment in Senegal (almost half of working-age people are unemployed), most of young people are left in the banlieue with no education, no job, and nothing to do. In Thiaroye there is a high percentage of young boys who neither work or study or train. With no money, nothing to do, and lot of time in their hands, youth are at risk to get involved in gangs, robberies and mugging, violent aggressions, drugs, alcohol dependency (with widespread killing alcoholic cheap mixtures), violence against women. Amid unfulfilled dreams and aspiration, a social context combining poverty, unemployoment, frustration and lack of opportunities, is a perfect hummus for deviance and violence in the banlieue. The recent sadness for the violent death of a young man in Thiaroye, Diafara – who was knifed last year just a few days after the festival – has urged AfricanBamba to address this year the issue of non violence in the community. AfricanBamba has thus launched a strong call for a culture of non violence, through the aid of cinema and music, to oppose tensions and conflicts and to create opportunities for rehabilitation, offering the chance through creative alternatives to channel existing negative energies towards positive outputs. 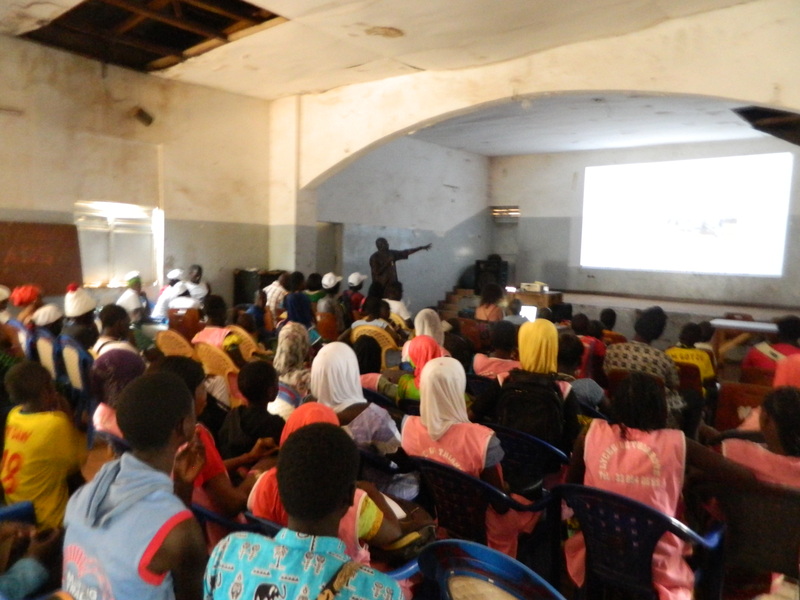 Film screenings were the catching moment to spark discussions with difficult youth and the community, involving NGOs, social workers, women associations and the youth to confront the question. All the Hip Hop musicians of the banlieue – more than 20 groups – have organised themselves to perform one whole night at the Festival, to offer homage to Diafara. Through rap and MCs the issue of non violence was addressed in the lyrics on and beyond the stage. 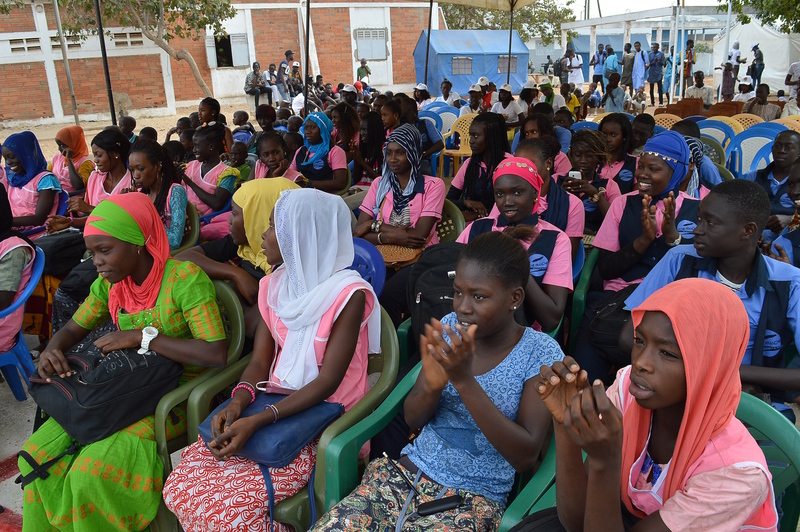 Non violence was also the theme of the theatre performances by the Group Sope Serigne Fallou and Daara Dunya, as well as in the Sport Day through the Football Match against violence and the final Basket Rap Attack. 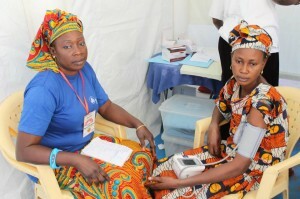 Women are always at the heart of AfricanBamba committment towards human rights. 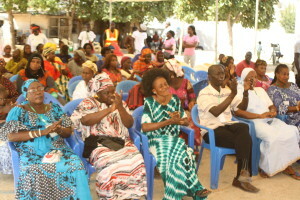 Many women associations participated to the festival and took active part in the debates and the activities, also engaging directly in the festival organisation. 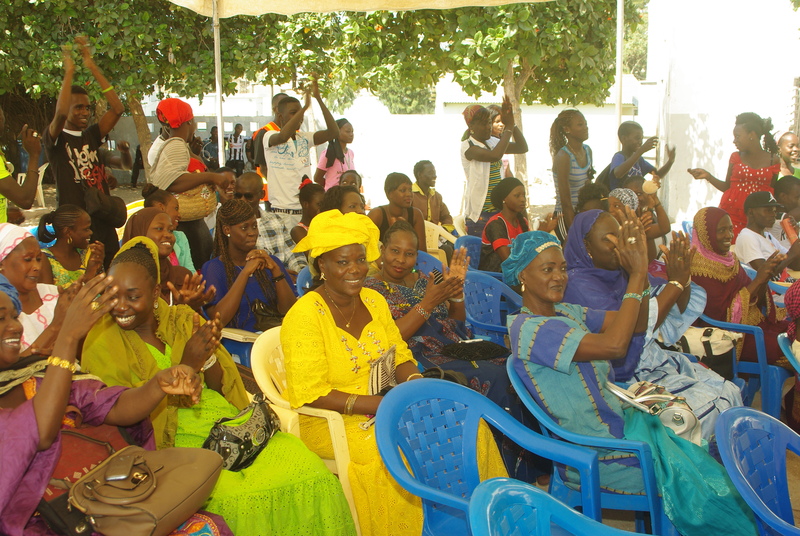 Young and older women have shared experiences and opinions, encouraged by the festival initiative and the partner of AfricanBamba. In particular, a very special talk was organised together with ActionAid International regarding the issue of women rights to land properties and in general on the human rights violation due to the land grabbing phenomena, also addressed at the African Social Forum. 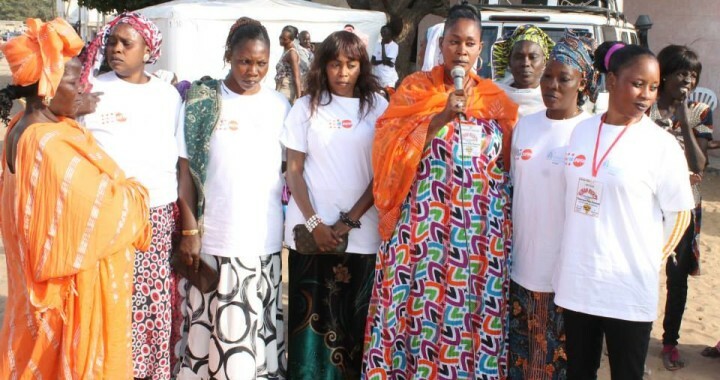 Women associations – including Andando Soxoli Sunu Gox and the Yoff Women Association – have participated actively in the empowering event, lead by Dellaphine Rauch-Houekpon, Country Director of ActionAid International in Senegal, and everyone shared their thoughts. After the screening of a reportage on the issue of landgrabbing in the region of Ndiael, ideas and thoughts were collected through a petition. AfricanBamba Human Rights Film Festival has also renewed its committment on the issues of health, which in 2013 have allowed to diagnosticate some case of cancer and other illnesses in the community which are now under cure. 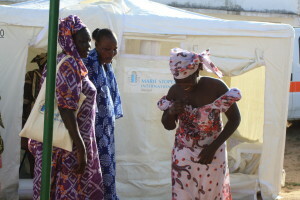 More than 400 women has taken part to the health services offered by Marie Stopes International and a lot more have participated to the debates lead by Denise Sokhna, Marie Stopes medical mobile unit officer, for raising awareness and knowledge on vaccinations, disease prevention and family planning. 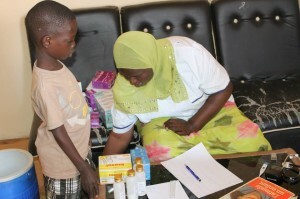 The festival has again been an opportunity for free immunisation and health medical examinations, as well as access to medicines for whom can not afford them, such as poor families and street children. Marie Stopes decided to stay longer than she planned as the women participation was higher than expected. Core programme of the festival has been the screening of films focused on human rights, as AfricanBamba uses films as a medium to start discussion on themes that require urgent attention in the banlieue. In particular this year the cinema programme has presented films in line with the festival key issues: education and non violence. Through films, examples were showcased from around the world, to spark discussions on the importance of education for nourishing the new generation, as well as the desire for fulfilling dreams, channeling positively one’s own energy towards non violence and self-empowerment. Film screenings has acted as the catching moments to spark discussions with difficult youth and the community, involving NGOs, social workers, women associations and the elderly to confront the question. We have screened 8 feature fiction films, 5 short fiction films, 1 short doc film – in total 14 films. 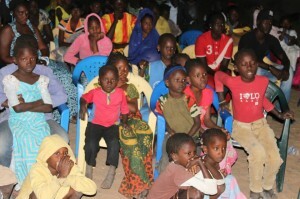 All films were highly participated by an audience of around 200-300 people each screening. 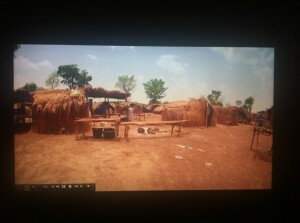 All films screened were either in Wolof, in French or with French subtitles. Education Day – screenings of films on education and children rights, meeting with school educators and students ; starts of health checks, family planning and disease prevention by Marie Stopes International ; presentations to women’s associations by Denise Sokhna, medical officer Marie Stopes International. Women and Children Day – presentation of report on land grabbing and women’s rights to property by ActionAid, with intervention of Country Director Dellaphine Rauch-Hoeukpan ; debate on human rights and education with school students from Mbao, with intervention by the School Director and one of the teacher, representatives of AfricanBamba, Human Rights Nights and by Clarjis Inge Diop, Cultural Representative from the Royal Embassy of the Netherlands. 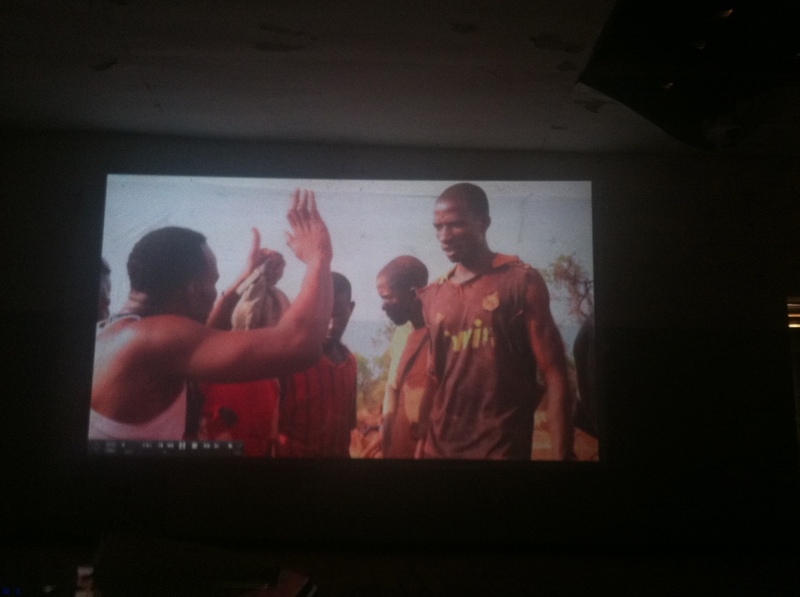 Screening of films on life in Dakar and beyond. 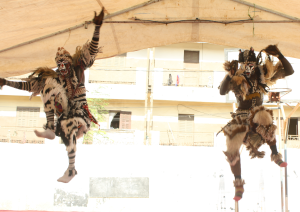 Theatre performances and traditional dance of the Simb, Le Faux Lions. Youth and Non Violence Day – debates on non violence and homage to Diafara, a young boy of the banlieue who was brutally knifed to death last year after the festival. Strong participation of youth of the banlieue and of artists and musicians. 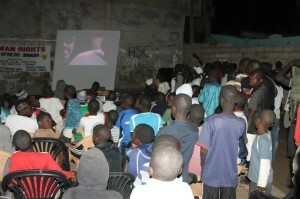 Screening of films on life in the banlieue in other parts of the world. Women and Non Violence - screening of films towards women’s empowerment and against women violence, followed by informal debates with small groups of young and more elderly women. Final concert Hip Hop – Bollo – united make strong, Non Violence, organised and participated by all the hip hop groups of the banlieue, lead by Seven Shots and Marine Family. Sport Day for Human Rights – AfricanBamba Football match at Camp Thiaroye – a symbolic venue as the military camp that has witnessed the massacre of the Senegalese soldiers, returned as allied soldiers in the WWII and crashed down after they protested for the French army to now keep promises regarding their compensation. 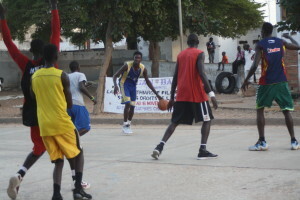 Basket rap attack, with final and semifinals of the local basket championship, organised by Pikine Basket Club followed by closing festival party. Over 4000 people attended the festival with an audience by women, youth and the participation of the whole local community. 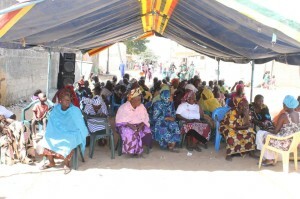 This year the festival has truly become a very participative events made with the community, with endorsement of the elderly of Thiaroye and a very active involvement of women association. Youth groups have directly contributed to the festival as part of the organisation, volunteering and offering their creativity and resources. The audience reflected the demography of the inhabitants of Thiaroye, which is our main focus. Together with youth participation and the few elders of the community, there was a gender balance towards women participation (women to men rate = 2:1). Visitors came night after night bringing friends and family. All reacted positively and actually some have expressed they are already looking forward to the next festival, thinking on how they could contribute next year. After the films, the audience commented and discussed the images also in the days following, and some asked for re-screening of the film to better understanding the issues portrayed in the film. As a matter of fact, due to the request of the community, AfricanBamba will continue screening films in the streets and squares of the neighbourhoods of Thiaroye, as more people would like to engage with cinema in the banlieue. In details, we had more than 4000 visitors: from 200 to 300 visitors on average for each film screenings and debate, 500 visitors for music and dance event, 200 visitors for football match, 200 visitors for basket rap attack, 400 visitors for the dance and theatre performances. In general the festival has been received very well, as a very participative, community event. 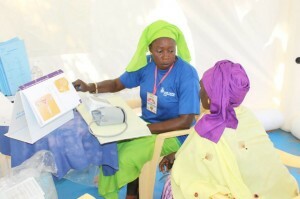 For women and the elderly it was very important that the festival was also an opportunity to receive free health checks and vaccinations. Regarding the films, the people of the Thiaroye has said several times that they were able to view through the festival films that usually they do not have the chance to see. The films that we have brought for screening have been a great new experience for the community in the banlieue, because these are films not possible to watch on TV and through is possible to learn and to thing on the issues that matter. Regarding the sports and music events: the people of Thiaroye were very happy as they enjoyed traditional performances such as that of the Simb, the faux lions and the dances of Sabar and Mbalax, or had a place for collectively perform rap and hip hop lyrics to express what is at their heart in the banlieue. 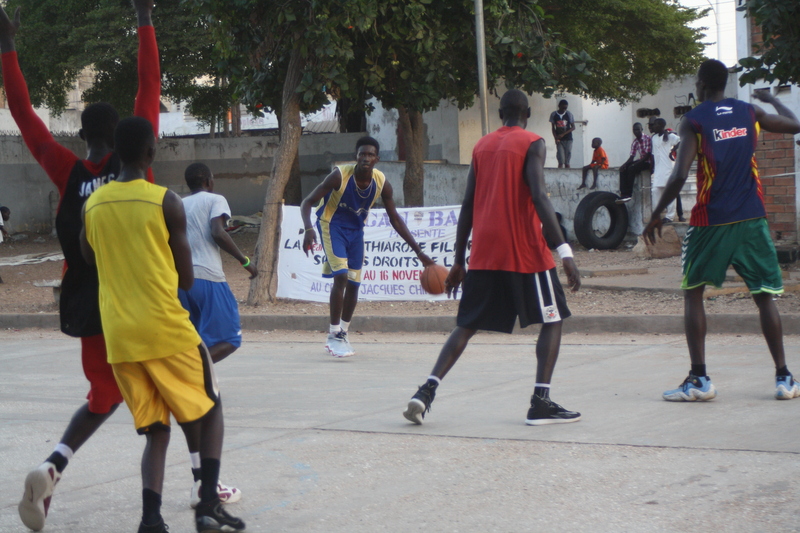 The basket tournament chose AfricanBamba festival to play the finals and semi-finals of the local championship, and celebrated within the festival the closing night the winning of Pikine. Media attention was renewed this year, with participation every day of journalists from major local radio, TV and press to collect interviews, have direct reportage on air and contribute to spread the message on human rights. 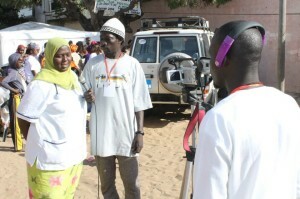 The festival received coverage by: L’OBS, Rewmi – printed press; Sunu Lamb, Zig FM – local radio ; Sen TV – national TV channel. 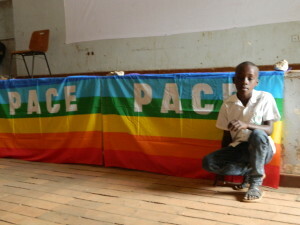 On the whole, the festival has fully achieved this year its set objectives of raising awareness in the community on human rights and social contemporary issues, using films as key tools to start debates; to strenghten community building and create alliances at local and global level for advocacy and social change; to create spaces for direct participation and representation of the concerns of the community. We have been very happy to realise that this year there has been a much greater participation, both in numbers of visitors and quality of interventions. The festival this year was also bigger in terms of its programme, numbers of screenings and events and length of activities. We have made more films, more debates and we had more participation. We believe it has been a success and for this we are very happy. It has all incredibly gone well. Nothing has really gone wrong. This year we have discovered things that were very beautiful throughout the whole festival experience and by sharing words and emotions with the community around the issues that are more at our heart such as women’s health and children. Everything has been successful. This year we have seen a higher participation from the local and international organisations. The presence of representatives from the Royal Embassy of the Netherlands, Action Aid International, Human Rights Nights and Marie Stopes International, together local with women and youth associations, have made the people feel that AfricanBamba festival is recognised at international level beyond the banlieue and this has had a tremendous impact in terms of feeling less isolated and part of a network for working together towards achieving people’s rights. What we have learnt this year is in fact that more partnership are made at local and global level, more rich the festival is in terms of programme, content and participation. In fact, a wonderful news has arrived to us just a week after the festival ended: AfricanBamba has been accepted as a new member of the Human Rights Film Network, an international network of 42 human rights film festival across the world – from London to Papua New Guinea and Kuala Lumpur, from Bologna to Seul, Johannesburg, Sarajevo and Buenos Aires… and now Thiaroye!! AfricanBamba Human Rights Film and Arts Festival - Copyright © 2014, All Rights Are Reserved.